This comparison was a quick and easy one. The main comparison I did with these 2 behemoths was the difference in playing characteristics and sound. A bit of history first. I used the M9000 from my brass band to help them out at a contest (I eventually joined them). It has a great clear and resonant sound. Easy to play even down to the fundamental Bb with a bit of resistance. Otherwise, an awesome tuba, despite it being uncomfortable to hold. Plays evenly across all registers and very consistent. The 1291 had the same quality of sound, was my initial thought, but not exactly the same. Like the M9000, it is consistent across its entire range and easy to blow. Immediately apparent was that the octave Bb scale down to the fundamental, was far less resistant than the M9000. This was expected. 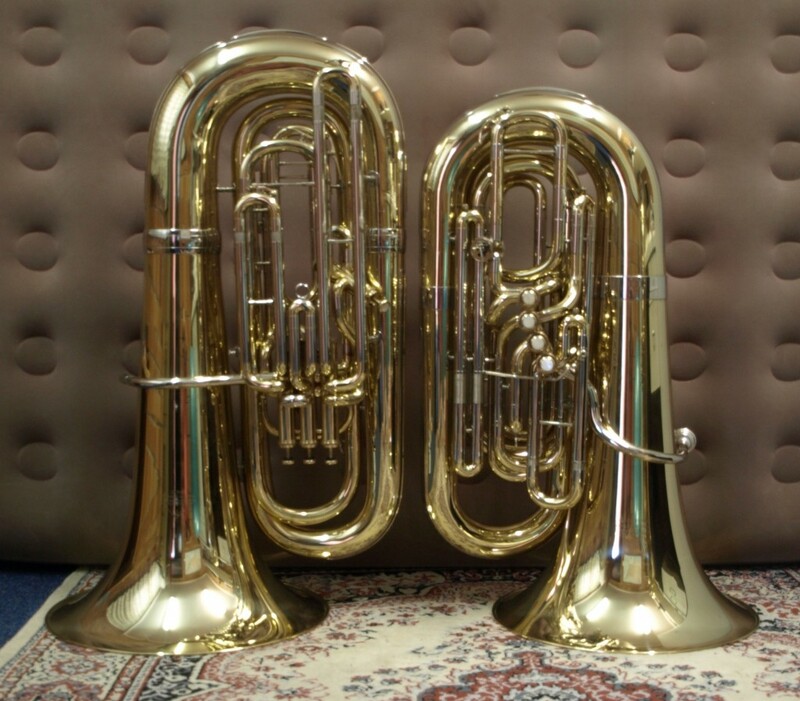 After a couple of back and forths between the 2 tubas it became clear why for me, I would choose the 1291. For the same “playing effort” the 1291 has more sound, oomph and presence than the M9000. Accompanied with freer blowing lower register and A+ comfort factor, hands down the 1291 is a winner for me. I have nothing bad to say about the M9000 “Sovereign copy”, the 1291 is just so much better. When you get your hands on a Miraphone Model 98 “Siegfried” 6/4 BBb tuba, I’d enjoy reading your review. Better yet, a post of a video of you playing it would be great. P.S. VOTT = great site! There might be an opportunity this year to test a Siegfried. If I do get one, there will be another comparison article and most definitely a video. What am I saying, I’ll write that article when I test the new tuba!! This is the year of the tuba, take no prisoners, show no mercy. It’s happening! Generally I don’t learn post on blogs, however I would like to say that this write-up very compelled me to check out and do it! Your writing style has been surprised me. Thank you, very great post.